Brazilian artist Cildo Meireles wasn’t always a fan of conceptual art, but in the 1970s he started to create works in protest of Brazil’s military dictatorship. These interactive/performance works carried political messages in a poetic way. …When a work of art kidnaps you for a fraction of a second, it takes you to another time …I realized that, of all the movements that I had studied, conceptual art was the only one that didn’t use any of the things linked to art: inks, brushes, canvases. It could be made from anything. It gave complete freedom. It is the most democratic way to produce art that has come up. That is something that deserves credit. 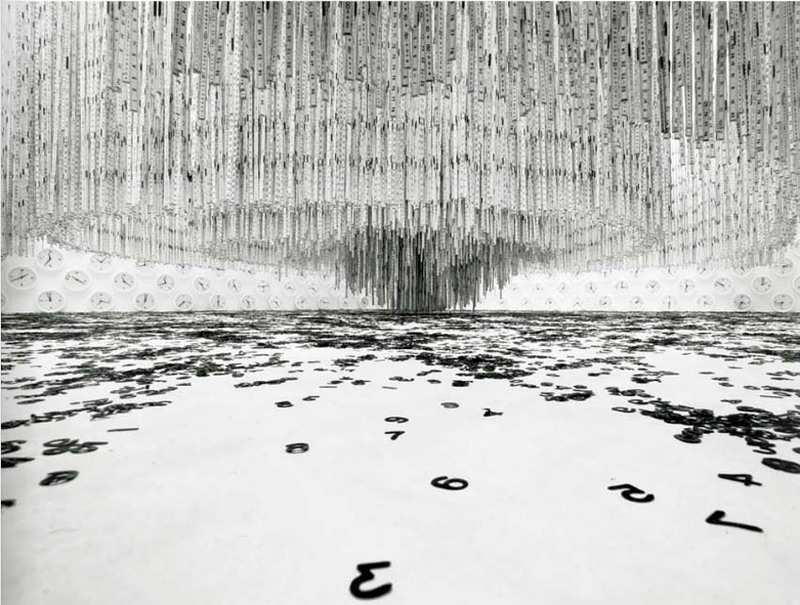 Meireles’s works typically revolve around space, dimension, and time. His installation Fontes (Fountains/Sources) is a perfect example. 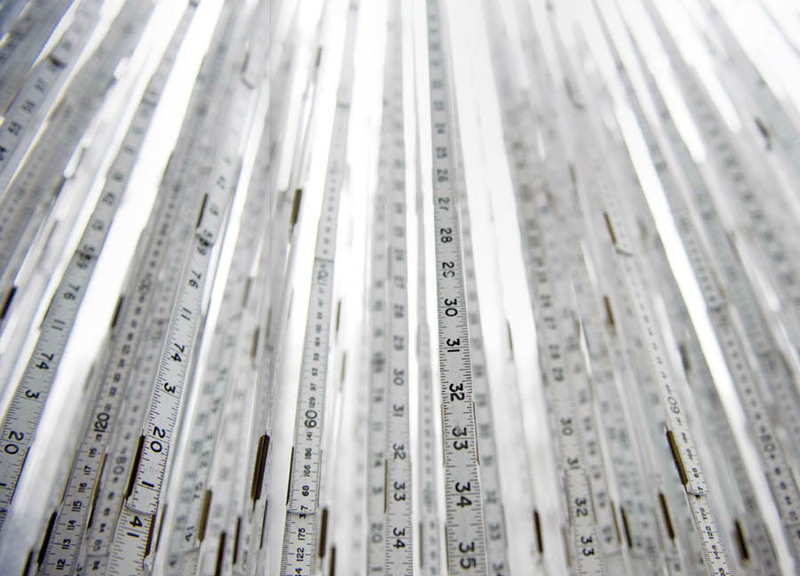 Using 6,000 rulers, 1,000 clocks, and 500,000 vinyl numbers, along with a soundtrack, Meireles invites spectators to interact with the work, circulating through the paths created by the hanging rulers. Photos: Ihall’s flickr; Jock303’s flickr; Penny Jones’ flickr; and the artist. This entry was posted in Art, Fun, Interaction Design, Just Plain Cool, Stuff We Like, Typography. Bookmark the permalink. Lovely collection of images there – thanks for sharing!